Gov. Wolf Orders Commonwealth Flags to Half-Staff to Honor Northeastern Area EMT Robert Kohler Sr. Governor Tom Wolf has ordered the Commonwealth flags on the Capitol Complex and all Commonwealth facilities, public buildings and grounds in York County to fly at half-staff in honor of EMT Robert Kohler Sr., who died after suffering a medical event while working at Station 23, Northeastern Area EMS, Manchester, PA, on Christmas morning. 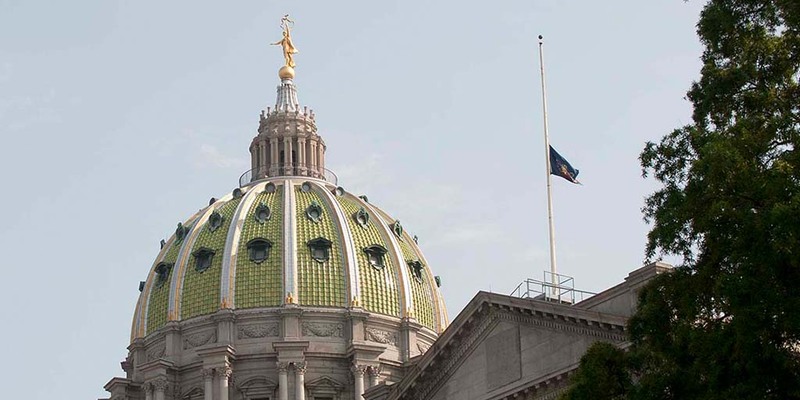 Governor Tom Wolf has ordered the Commonwealth flags on the Capitol Complex and all Commonwealth facilities, public buildings and grounds in Northumberland County to fly at half-staff in honor of Scott W. Dannheimer, 53, of Shamokin. 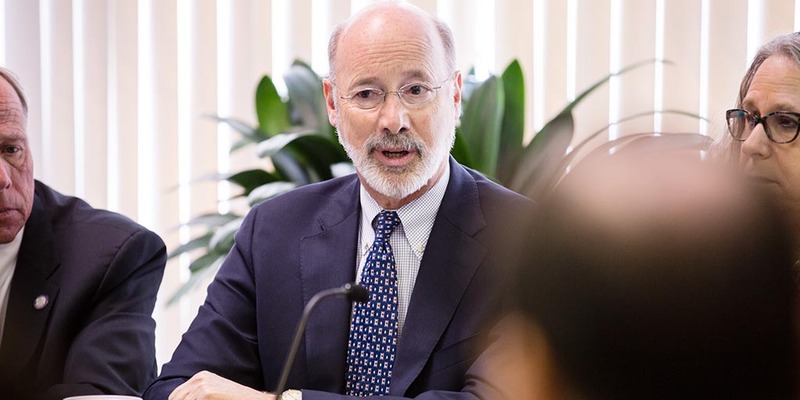 Governor Tom Wolf today signed the fourth renewal of his 90-day opioid disaster declaration and noted recent successes in the ongoing fight against the epidemic. 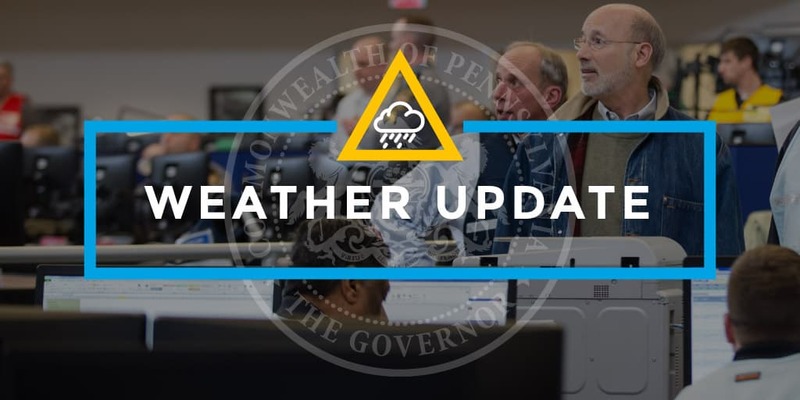 Governor Tom Wolf is reminding motorists to be aware that heavy rain overnight, with rain showers through most of the day tomorrow, could impact travel across much of eastern Pennsylvania. Motorists should watch for ponding on roadways and flooding in poor drainage areas while traveling. 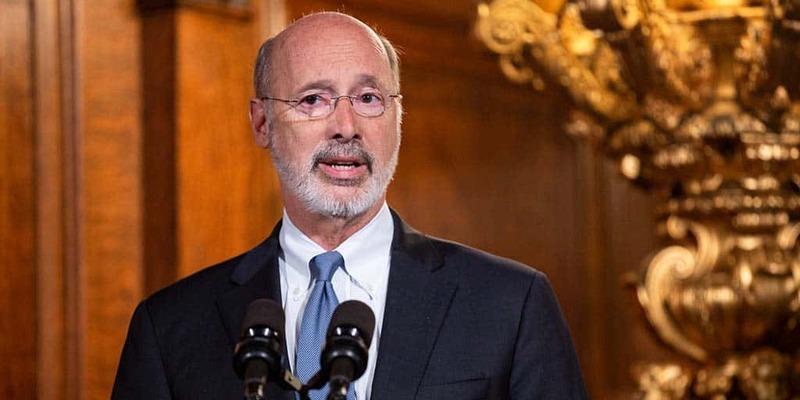 Improving transparency and reducing Wall Street fees and other recommendations to save nearly $10 billion in public pension costs are part of a bipartisan report received today by Governor Tom Wolf.